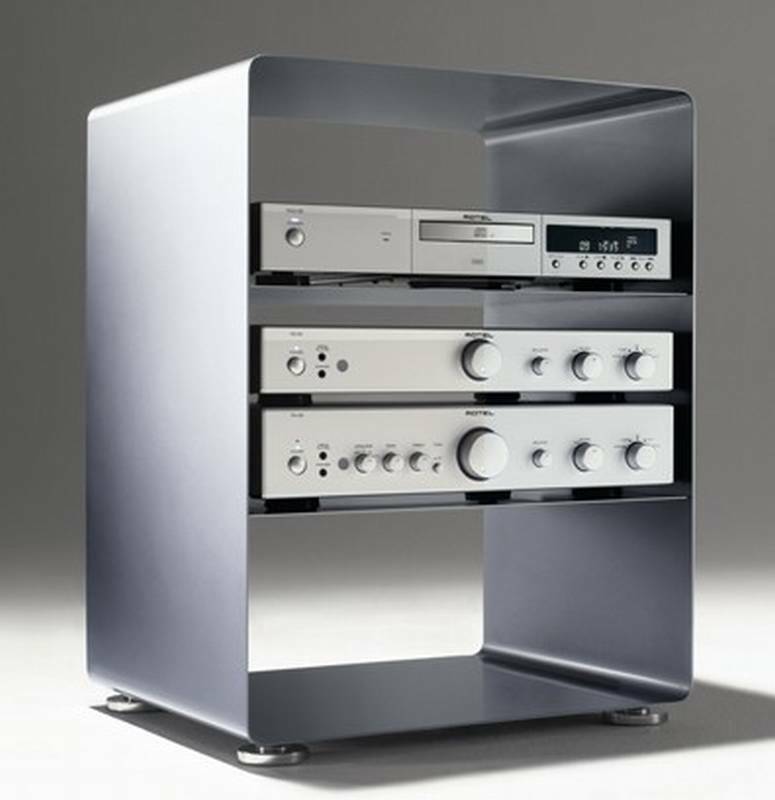 Description A stylish and durable stereo cabinet made from 2.5mm thick sheet metal with a semi-matt acrylic finish. So strong that you can sit on it! (max load 80kgs/176lbs). This model provides beauty, functionality and individuality in one product. On chrome feet or castors with footbrakes. The two-coloured option allows the exterior and interior to be different colours, please contact us for a specific quote.